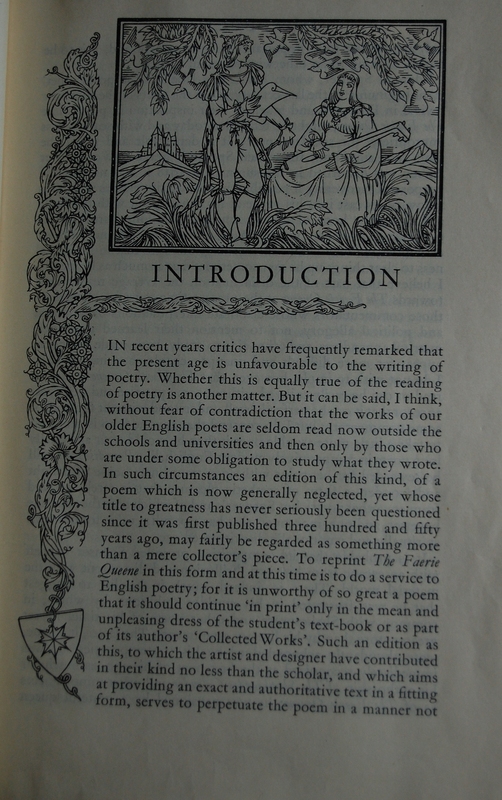 Talking with Charles Batey in the year 1949, we lamented the fact that John Austen’s grand project for a grand edition of The Faerie Queene had never ripened into a completed book; and we wondered if Charles Batey could take up where John Austen and the former Printer had left off. [After much consideration, Batey replied] that, even if he had the time, he wouldn’t know what to do about getting a new set of illustrations. Oh, we replied most airily, that can be taken care of. 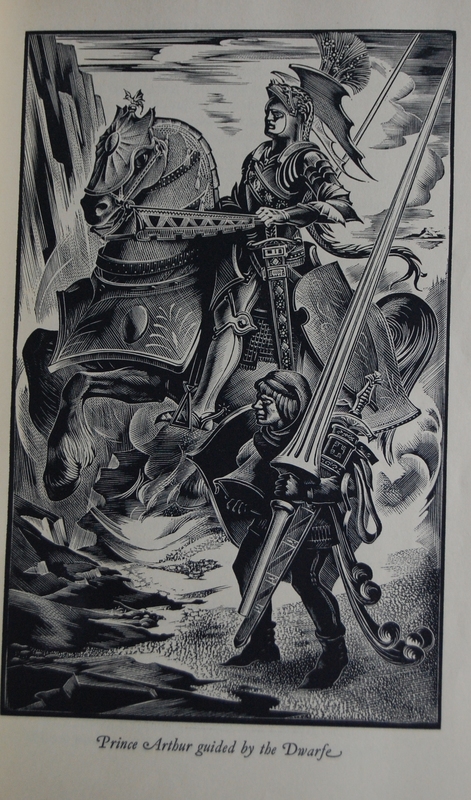 Agnes Miller Parker, said we, is one of the great wood-engravers of the world; and we know her to have been a friend of John Austen, because we brought them together. 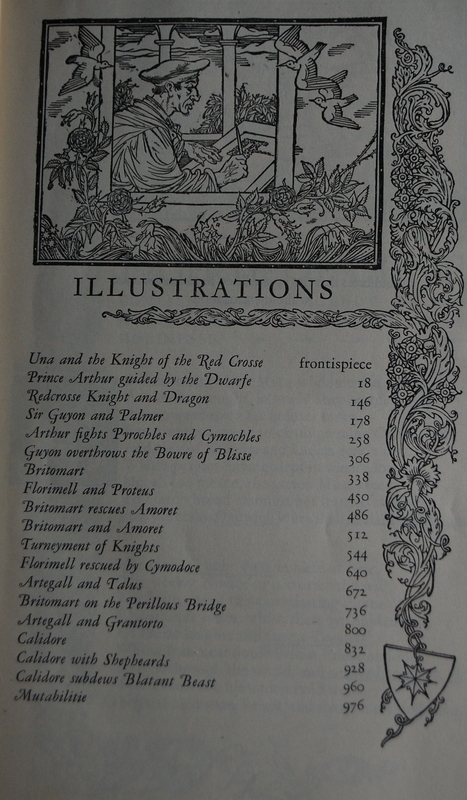 The result is that the Coronation Editon of The Faerie Queene, of which your copy lies heavy on your desk at this moment, is built around the typographic plans developed by John Austen before the war, and contains the decorations drawn by John Austen before the war–and includes a truly remarkable series of wood-engravings done by Agnes Miller Parker after the war. The type for the composition of the text is the monotype version of Garamond, in the bold and brave sixteen-point size. All of the pages were composed at Oxford, under the supervision of its Printer. The typographic design closely follows the plan laid down by John Austen in 1939. There are headings and ornamental borders and ornamental initials, as charming as charming can be, all drawn by Austen. 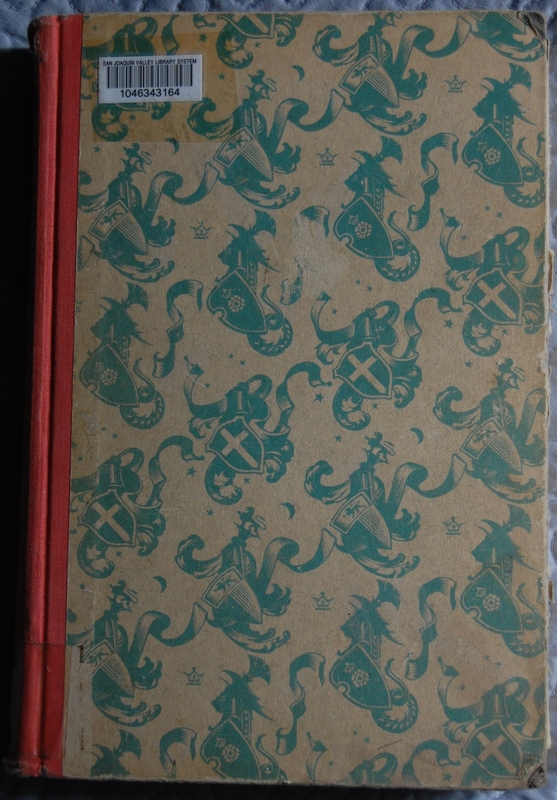 The volume is bound from designs by Agnes Parker. 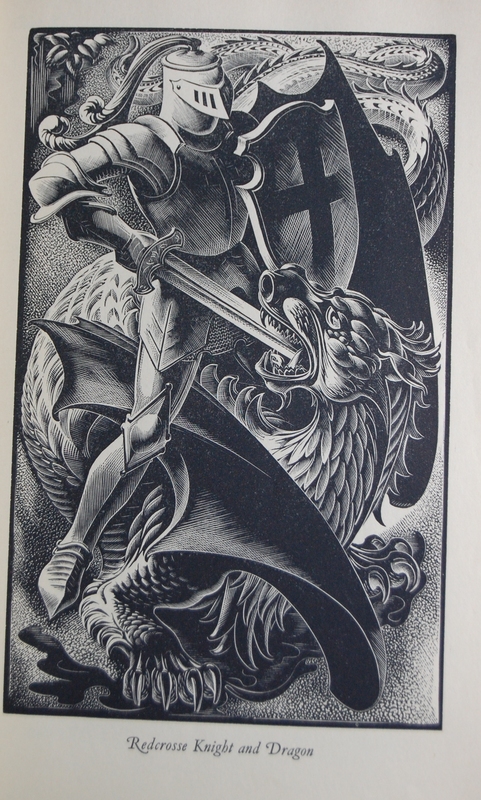 They are highly ornamental designs, drawn by Agnes Parker and printed in lithography; each design is built up out of the shields which were carried into combat by the knights-errant of Spenser’s day, all of them drawn by Agnes Parker only after careful research. Thanks for the details. Can you let me know what number your Sandglass is? That way I can properly signpost where I got the info from. Thanks! 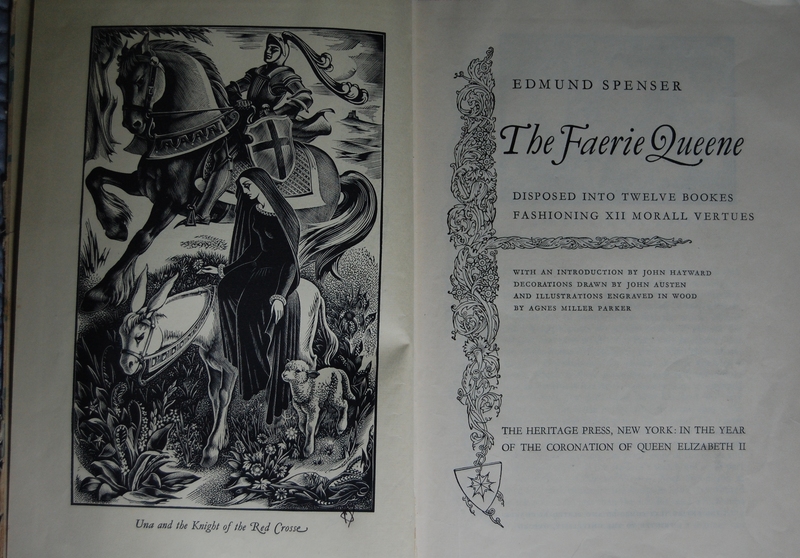 You are currently reading Heritage Press: The Faerie Queene by Edmund Spenser (1953, Coronation Edition) at The George Macy Imagery.